Handling customer objections is a crucial — sometimes difficult — task for design studio consultants. The good news is that objections from customers are almost always gifts in disguise, and a chance to better understand what is in your buyer’s mind. An objection is an opportunity, not a threat. In today’s article, we’ll be exploring two common objections and a simple framework for overcoming each (plus an exciting opportunity for any design studio consultant, manager or new home sales professional ready to effortlessly counter any objection they face). Let’s explore two common objections in a little more detail, along with suggestions for how to overcome them. This can happen even when we’ve successfully created desire around the product, but not enough of a compelling reason to buy from you (and to buy now). In this case, the buyer might feel that it makes more sense to buy from Home Depot, another competitor, or even a relative or family friend who has access to a certain product or the skills to install it. The first step in overcoming this objection — any objection — is to fully understand. Before you respond with your opinion, it’s time to slow right down. Get curious. Ask questions around why your buyer is thinking of delaying their purchase. Do they feel it will be less expensive? Do they feel you don’t have the exact product they’re looking for? Dig in and understand their perspective. You can’t address an objection if you don’t fully understand it. Side note: if you’re ready to confidently tackle objections and sell more options, be sure to learn more about the INFLUENCE Design Studio Training Event. Over 2 days, you’ll learn how to effortlessly counter objections and turn options into must-haves. Does buying from you result in better overall value? Does it give your customers a better end result? How will buying from you result in less stress or more satisfaction? Whatever the reason, it’s time to educate. What do your customers need to understand about how waiting to buy after they move in will negatively affect them? In INFLUENCE, we cover twenty reasons why it’s better to buy from you than from Home Depot and similar competitors (and we help you script responses to even the trickiest of objections). Often, buyers will make it sound like they want every option under the sun, but unrestricted choice would be overwhelming (and it actually hinders effective and confident decision-making). What buyers really want is a sense of choice and a feeling of control throughout the selection process. Buyers want the sense that they had a big enough selection to choose from without feeling like they had to settle for something sub-par, because more than limitless choice, what they really want is the option that feels like just the right choice for them. So if you hear your buyer saying, “I don’t understand why you don’t have this,” or “why can’t you get this particular item for me?” then it’s time to reset expectations and do some education. (The most interesting thing about overcoming objections is that buyers really don’t need to persuaded — they want to be educated and they will appreciate the insights you share with them). In this situation, it helps to reframe the objection into a positive. Talk about the fact that you provide a supportive design studio experience, and you’re actually quite proud that you don’t offer every option under the sun — because if you did, it would be hard and time-consuming for your customer to sift through all of the choices available to them and find the right one. Taylor Morrison’s new design studio in Charlotte is top notch. 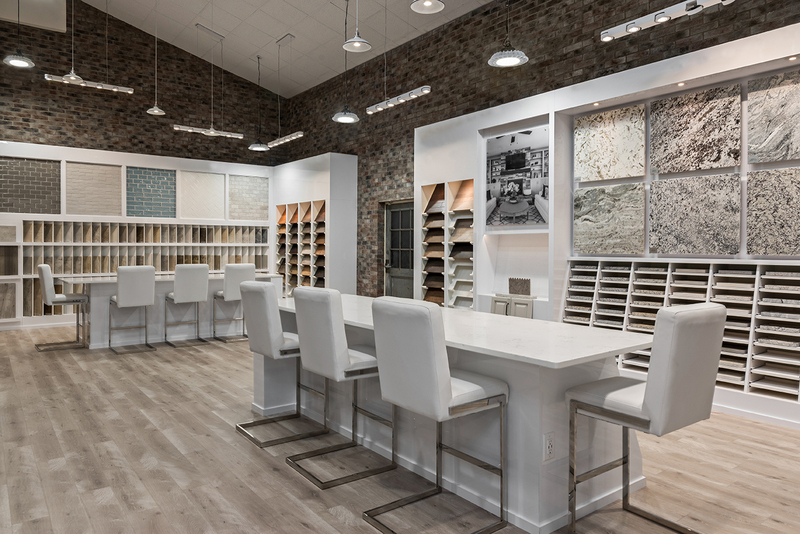 Their main goal in creating such a one of kind space was to be able to take their customer’s vision for their dream home, and have it unfold before them as they physically get to touch and select the exact finishes going in their home. And through the last couple of months, their buyers have expressed through each appointment, that their goal has indeed become a reality. Taylor Morrison looks forward to being a part of each customer’s experience in not just building their house, but creating a place they will call home. Explain that you take pride in the fact that you work hard to curate a collection of the most popular products that are available today, in a wide variety of styles, finishes, colors and investment amounts. You’ve done a lot of hard work behind the scenes to study the latest trends, working with some of the country’s leading suppliers and designers — and you stand behind your range confidently, because you’ve vetted everything to make sure it meets your high standards of quality. This means that the choices your customers see in front of them today are the products that you know will meet their high expectations for their new home. As a side note, this is a conversation that should ideally happen before the buyer steps into the design studio. It’s important to ensure that your new home sales team isn’t unintentionally leading the customer to believe they’ll have limitless choice, or that you’ll be able to hunt down the exact product they saved to a Pinterest board or found in a Google search. These are just two common objections, but undoubtedly, you’ll encounter many more as a design studio consultant, manager, or new home sales professional — and that’s why we created the INFLUENCE Design Studio Training Event. At INFLUENCE, we spend 2 full days giving you the tools, processes and strategies you’ll need to overcome any objection and ignite desire in your customers. It’s incredible stuff, and you can see the full agenda for INFLUENCE!